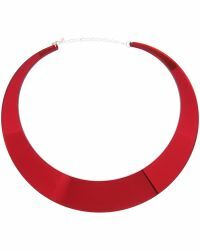 Classic Scandi style meets modern innovation with directional jewelry label Cooee. Hailing from the forests of Sweden, the former interior design company translates a minimalist style into stark and striking pieces rendered in corian and acrylic and embellished with precious metals. The result is a selection of original statement pieces. 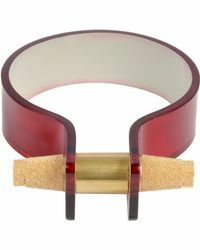 Think clear acrylic cuffs finished with industrial bolts, simple choker necklaces in pops of color and mirrored bangles. 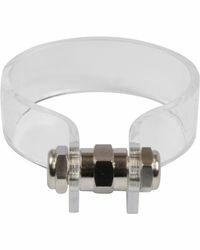 The designs made by hand, Cooee delivers innovative jewelry at its finest. The perfect options for making a statement with minimal effort required.